In the many years of running Four-D College there has been one challenge that has been consistent throughout the years. The challenge has been the challenge of having enough revenue. What do you do when your bills exceed the revenue? What do you do when you do not have enough money? I have been in this situation so many times that I began to question what was I doing wrong. There has always been one consistency that resulted with the same outcome. God has always provided enough to take care of the bills at the school. I think it has been my faith that has allowed me to believe the truth that God will provide all. My situations of financial struggles have not necessarily change, it is my faith that continues to go deeper. It is the one thing that I know to be very true, when you trust in Him, He will provide. Faith and consistency are not the same. A person can consistently do the same thing repeatedly not using faith. Faith does not allow you to react negatively to repeated actions. Faith tells you that you have been there before and survived. The present situation is only a mirror image of what you have journeyed through. It is a mirror image because it cannot be greater than what you have gone through. The situation is not greater but your faith is greater. Faith grows. Click the following button to learn more about Business by Faith: By Linda L. Smith and how it has helped so many people in so many ways. #1 Bestseller in 3 categories on Amazon. I am running a Bestseller Campaign for my new book release, Business by Faith; A Journey of Integrating the Four D’s of Success which will be available on April 28, 2015 on Amazon. Establishing a business is not easy and when faced with the challenges of individuals who did not want me to be in business- those gatekeepers who make each and every step grueling, financial nightmares, lost of friendships, challenges in a struggling marriage and more, it has required the implementation of the Four D’s of Success to remain in business for 23 years. Desire, Determine, Drive, Deliver. Collectively, applied together with pinpoint focus has been the bedrock foundation from which I operate. When you know how to apply the Four D’s of Success and quitting is not an option, you will exceed your expectation! Go to www.lindalsmith.com to pre-order your copy of Business by Faith, now. On April 28th you will be contacted to complete your purchase on your pre-ordered book(s). Business by Faith is an excellent book for seasoned business owners, individuals of faith base, women, young (hopeful) entrepreneurs. Now is the perfect time to consider a rewarding career in health care administration. With new laws impacting the U.S. health care system and significant changes taking place, your leadership and management skills can make a huge difference in the medical field. 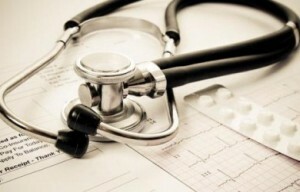 As a health care executive you plan, coordinate and direct health care services. You supervise the delivery of services by doctors, nurses and other medical staff and oversee compliance with government agencies. You make important business decisions and improve the efficiency of your medical center or facility. Health care administrators or managers can work in a number of settings, including hospitals, private practices, nursing homes, home health agencies, insurance companies and HMOs. Some health care management professionals are specialists focused on a particular department while others are generalists and keep the entire operations of a medical facility running smoothly. Health care is a business and for individuals who enjoy the business side of the medical industry, this career is for you. But are there health care administrator jobs available? Yes. Employment of health care administrators is expected to grow 9-17% by 2016. 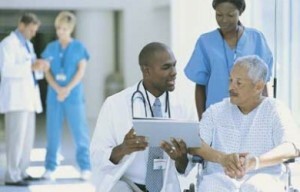 An estimated 100,000 health care administrators will be needed by 2016. Four-D College has an all-new Associate of Science Health Care Administration program accredited by California Bureau for Private Postsecondary Education. The 14-month program is designed to provide students with a comprehensive overview of the foundational functions within health care administration. Salaries for this exciting career vary widely. The average salary of medical and health services managers was $84,270 in 2010. Ready to maximize your managerial skills with a health care administration career? Call Four-D College today! Financial aid is available for those who qualify. Contact a Four-D College admissions representative at 800-600-5422. COLTON, CALIF. — September 5, 2012—A short documentary about the life of Four-D College’s President and Founder, Linda L. Smith, has earned a coveted Accolade Award of Merit from the Accolade Competition. The Accolade is a top-tier independent international awards competition. Entries are judged on quality of craft and creativity. The awards go to filmmakers, television producers, videographers and new media creators who produce fresh, standout productions. “I was thrilled that ‘A Profile in Courage: Linda L. Smith’ received such an acknowledgment on the first submission of the documentary to a film competition. Reginald Brown captured the true essence of my journey in this twenty-minute piece,” said Linda Smith. 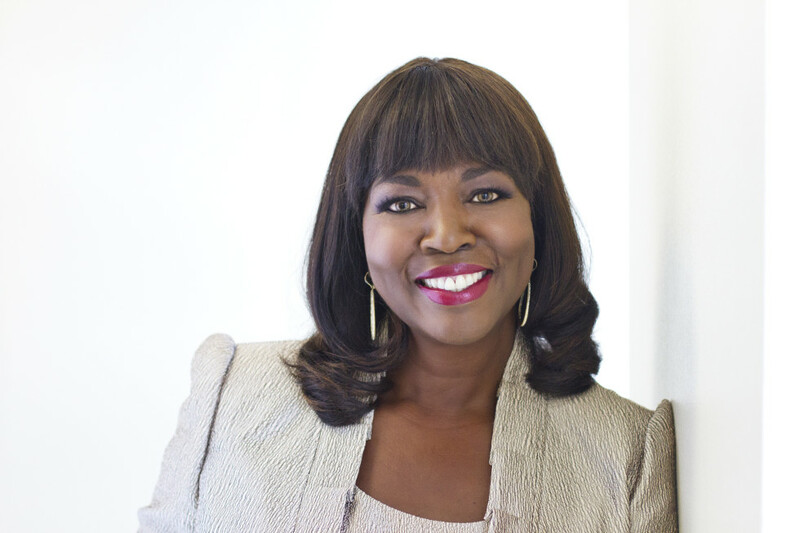 Based on her trilogy of books titled “Business by Faith”, the documentary takes an in-depth look at Linda L. Smith, CEO and Founder of Four-D College, the first and only African American owned and operated vocational college in the State of California. It unveils her faith in God during an inspirational journey of entrepreneurship, including trials and triumphs, and showcases the impact she has had on others along the way. “A Profile in Courage: Linda L. Smith” was written, produced and directed by Reginald D. Brown a member of the Directors Guild of America, Inc. and the Writers Guild of America, West. “When I received a letter in the mail with the announcement that ‘A Profile in Courage: Linda L. Smith’ was one of the Accolade Award of Merit winners, I was ecstatic. I was really pleased that an objective group of people from the Accolades liked the film. Now I know we have something that touches people,” said Reginald D. Brown. Reginald Brown Productions also produced a full featured film of “A Profile in Courage: Linda L. Smith”. The film has been accepted into the Hollywood Black Film Festival, the Riverside Film Festival and the Louisville Kentucky Film Festival. Even before Congress voted President Barack Obama’s Patient Protection and Affordable Care Act (PPACA) into law and the Supreme Court ruled in favor of it, many have debated about its value, validity, need and constitutionality. People have had explosive conversations about who it impacts and how, whether affordable healthcare is a privilege or a right and how much it really costs. Even within the healthcare profession there have been heated debates. According to the U.S. Department of Health and Human Services, there are an estimated 49.9 million uninsured Americans, who will be coming into the healthcare system under PPACA. For many it’s simple: the more patients, the more need for medical professionals. But are things really that simple and how will nurses fare? Will LVNs get lost in the shuffle? Will nurse practitioners become the new ObamaCare doctors? We asked Linda L. Smith, President of Four-D College, some of these pressing questions and below are her responses. Do you think “ObamaCare” will lead to a nursing shortage? Linda Smith: Absolutely not. I think there will always be a demand for nurses and there will always be people seeking to enter the healthcare field, especially nursing. If you look around you’ll notice that even during tough economic times, hospitals are building and expanding their facilities. As hospitals expand their bed capacity and new hospitals are established, the nursing staffing needs will grow. Likewise, I think the number of students wanting to become nurses will increase. Nurses are a necessary commodity in the healthcare system. There will always be a need for nurses to fulfill the services of their scope of practice. Will ObamaCare really reform healthcare, in your opinion? Linda Smith: I’m not sure if it will totally reform healthcare, but I believe that every person should have affordable healthcare. It will be interesting to see how it all plays out but I believe patients (those in need of care that have been unable to obtain previously) will certainly benefit. And nurses will be instrumental to helping to provide that care. As such, Four-D College will continue on our mission to strive for excellence and quality as it relates to our curriculum and teaching methods. Will the role of nurses change under ObamaCare? If so, how? Linda Smith: The only role I foresee changing is that of nurse practitioners. With the influx of patients, I believe they will be required to step up and in some cases fulfill some of the physicians’ responsibilities. Will LVNs get lost in the healthcare reform shuffle? Linda Smith: No, I don’t believe LVNs will get lost in the shuffle. They will likely become even more valuable as healthcare professionals. LVNs are often the ones providing holistic care, taking care of the needs of the patients and loved ones as well. With more patients now eligible for care, there is a need for more caring and compassionate nurses. At Four-D College we pride ourselves on preparing and developing skilled nurses who exhibit the caring and nurturing nature a good nurse should have. “Obamacare” continues to be debated and discussed, but 4D-College founder foresees a positive impact. Everyone will have to wait and see. What are your thoughts about the Patient Protection and Affordable Care Act aka “ObamaCare”?